I know it's been a while and I haven't posted anything in over a year...but today I put together a post like i used to....and for some reason I'm getting error messages when I try to embed MP3's into this like I used to. 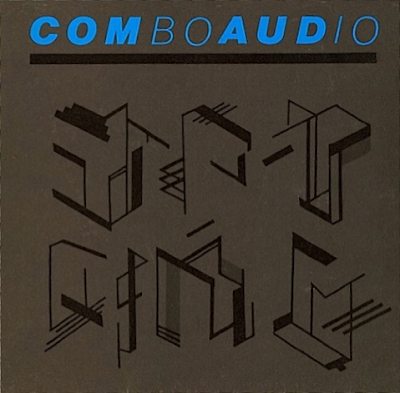 Classic 12-inch : COMBO AUDIO - "ROMANTICIDE"
First signed to the Secret Records label in 1982, Combo Audio (John Kellogg and Rick Neuhus) began what some thought would be a long and illustrious career in the burgeoning New Wave market. It didn't happen but EMI-America had high hopes for the group and they toured with TALKING HEADS, U2, BLONDIE and many others. The 4 song EP was the only thing to be released in America though as their record label pushed the group to create a more "radio friendly" sound. Then after years of litigation, before they even put out a debut album, in 1985 they dropped the group. Just another example of a record label tearing a promising band apart. Listen to their single ROMANTICIDE (12-inch mix) and you can hear echoes of Classix Nouveaux, INXS, Lords of the New Church and a host of others. It remains a classic single. There were some other promising sounds heard on their EP. Just listen to "HI-FIDELITY SITUATIONS" and just TRY not to think of the Fixx. You can't do it...It's Impossible. To a T......Perhaps this is the label pushing their agenda, perhaps not. 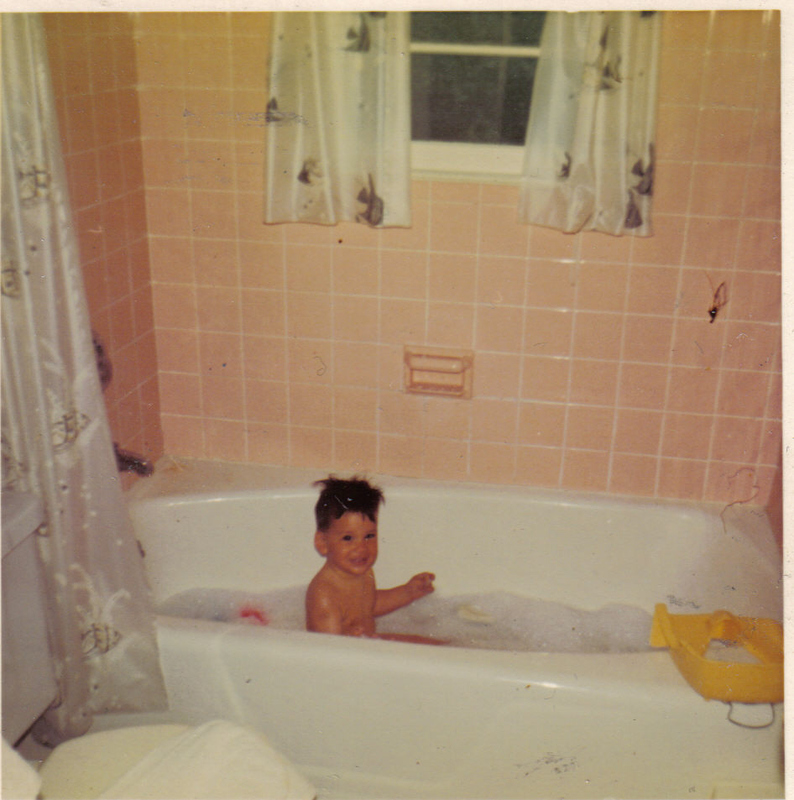 The other 2 tracks on this EP also showed promise. "MILITARY ENGLISH" and "SHADOW OCCUPATIONS" are typical of the time. 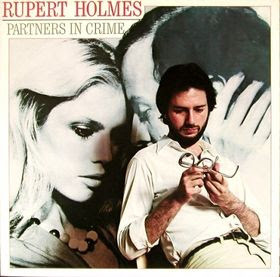 Better still, listen to where they started with the original UK version of "ROMANTICE" and it's B-Side "IT'S A CRIME". But do not shed a tear for leader John Kellogg as he help produce the very first 5.1 music mixes for Dolby Digital. Not a bad way to NOT make it in music. In 1985. The debut single from Mick Jones' post-Clash project had everything we could have all hoped for. 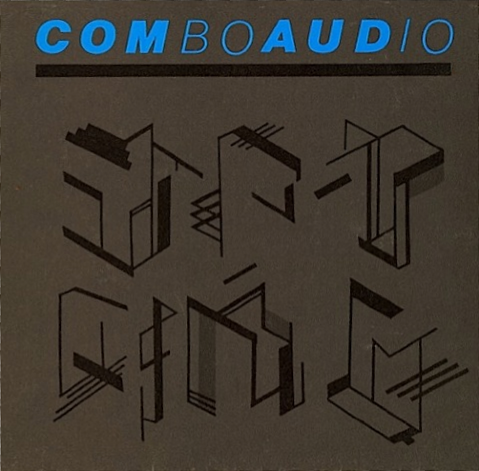 Great guitar, wonderful chorus, Hip/Hop beats and samples......it was ....just...."Cool". Strange how things would go downhill from here, but for a few minutes in early 1985, We all didn't know what to think of Joe Strummer kicking Mick out of the Clash. Then the Clash put out "Cut The Crap" and Mick and Co. put out THIS. Who could argue otherwise that Joe had made a terrible mistake. Of coarse later the two would patch things up. 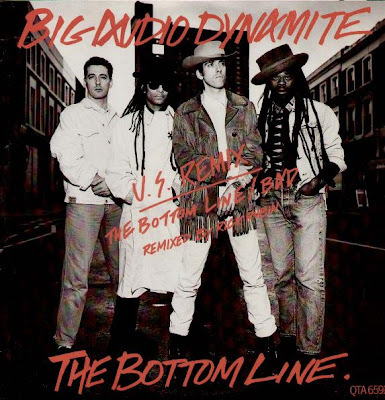 Joe appeared on the second Big Audio Dynamite album and it was almost like a mini-Clash reuinion. We all held on to that small glimmer of hope that it was only a matter of time before the Clash would re-form again. Joe's heart attack and death at age 50 had changed all that. Sad. But let's get all mopey and maudlin. Let's just listen to the first single from B.A.D. In all it's forms. (and it's B-sides as well). Sounds as good now as it did 25 years ago. It was the dawn of the 90's and in addition to working my days away at Soundtraks records I was also now a working Disc Jockey. Both at the clubs (Voodoo) and at radio (WUSB 90.1 in Stonybrook). I remember getting an advance tape from Mute records of the new Meat Beat Manifesto album almost a year before the CD came out. I made many copies for my friends and played the tracks on the radio for my weekly show "Night-Trips". For a while there I thought the album would never come out....then it did. 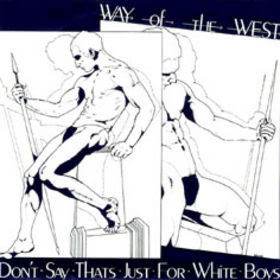 It was so far beyond what the group had accomplished on WAX TRAX, this was not Industrial, not New Wave, but something in between. Jack Dangers was actually SINGING, and he had a almost Dave Gahan tint to his voice. The first single was EDGE OF NO CONTROL , but I think CIRCLES would have been a great single. Here they are, in the promo-only single remixes. Ah....BRIT-POP!! The savior of the 90's. Towards the end of the century it seemed that musical trends were consisting of every genre that had come and gone in the century. Whether it be the re-emergence of Ska music, Swing, Mambo or British invasion Rock And Roll. 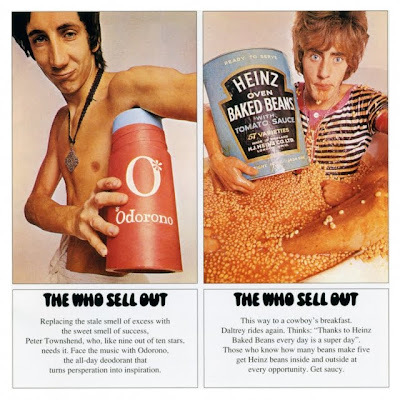 Most of the bands that came in the wake of Brit-pop are long gone (remember Gene ......anyone?) But the boys that led the way will always be remembered. When PARKLIFE came out in 1994 it was a HUGE success.....in the UK.....in America we were putting crap like Right Said Fred on the top of the charts. It's the time I truly wanted to live overseas because the music was so much better. Just listen to LONDON LOVES or END OF THE CENTURY and then go listen to Boyz II Men or TLC or some other piece of crap that we here in the US had to put up with.......England....you got it right on this one...now, Robbie Williams....uh.....America didn't go for him, so chalk one up for us on that one. Oh, how I loved the Scofflaws. What fantastic times I had back in the early 90's, when the band would pack a small club like New York Avenue in Huntington and we'd all dance and bounce around while Brooks and the boys would fill our heads with the adventures of Paul Getty and Pee Wee Herman and William Shatner. Their debut stands alone as the definitive work by the Scofflaws. Just gather 'round and listen to their version of Danny Elfman's theme to PEE WEE'S BIG ADVENTURE or the wacky SKA-LA-CARTE. 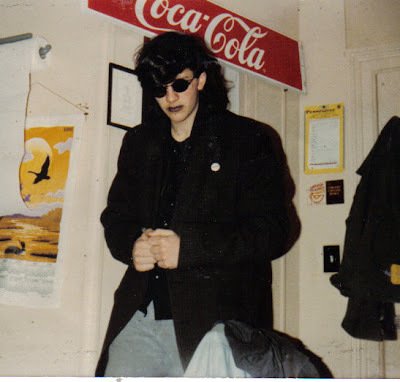 One memorable night in New York City, Vince and I went to see our then favourite band SIGUE SIGUE SPUTNIK playing at the world famous Palladium......OK, why are you laughing ?....OK, I will ignore that and move on..... This show is memorable for a few reasons, none of them having to do with the headlining band, who were pretty awful. Before the show the DJ played, in their entirety mind you, the then new albums by both Kraftwerk and Love And Rockets. I remember liking what I was hearing for both LPs, watching the still sparse crowd dance, and meeting some cool NYC hipsters. The Kraftwerk LP as a whole isn't much of an album, more like one very long 12-inch mix. It's a bit of a letdown after the 2 previous masterpieces they released (COMPUTER LOVE and THE MAN MACHINE) but I always loved MUSIQUE NON-STOP. 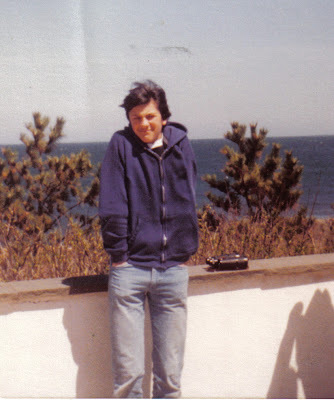 Just 1 year after the non-stop party that was 1986 I finally had a "cool" job and settled down a bit. I was working at Record World in the Walt Whitman Mall in Huntington. I made a few life-long friends in my nearly 2 years there. Friends I still speak to , and I was also exposed to some great music I might have otherwise not have been exposed to. One of those artists was former Japan singer DAVID SYLVIAN. His 1987 album Secrets Of The Beehive was a bit of a departure for him, but it's still the perfect Sunday Morning album.......quiet, folky, atmospheric. Nope....this album doesn't "Rock" in the slightest, and I wouldn't have it any other way. Another one of those bands would be Dead Can Dance. I have carried on an over 20 year love affair with this band now. In my days in the 90's working at Soundtraks in Huntington I have turned many a stranger on to their wild and goth-y blend of world music. This is a band that has to be HEARD. Have you ever tried to describe their music to someone? It's practically impossible. "ULLYSES"
And now we skip a few years. When we last left our hero he was stuck in December 1980. John Lennon had just been killed and he became Obsessed with all thing Beatle related (an obsession that continues to this day). As the 80's dawned I was kind of stuck between two worlds.......I was still listening to classic rock radio, but there was this New Wave thing happening that caught my attention. It wasn't until I finally got Cable TV (and MTV was constantly on) that I was exposed to all those freaky English bands and I had now truly found my place. #5 - U2 - "The Unforgettable Fire"
Remember...I said this list will includes those albums that inspired me, or records that I associate with certain memories...they are not all going to be winners. Having said that, I remember the anticipation I (and my friend Vince) had when this album was released. We were huge Trevor Horn fans and loved everything he laid his production ears to. I remember going to Titus Oaks in Huntington and we each wanted to buy a copy of this....he bought the US version of the album, and I wanted to Import. Then we brought it over to my house and listened to it. 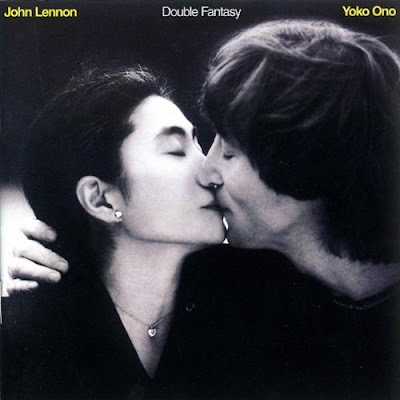 The first track is over 23 minutes long and to us this WAS out Sgt Pepper....our White Album...our Dark Side Of The Moon....this was going to be the best album EVER recorded. 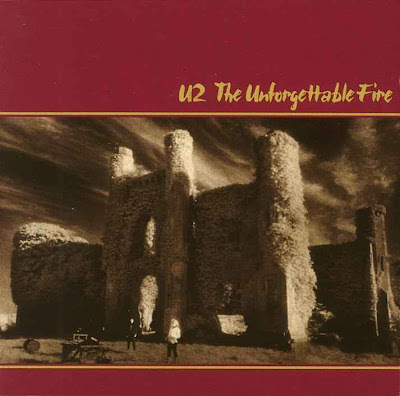 That feeling didn't last, but listening back to it now, there were a couple of cool tracks on it...like "Black Night White Light" (always an underrated track), or "Happy Hi". CHINA CRISIS - "YOU DID CUT ME"
#1 - THE DOORS - "STRANGE DAYS" (1967). As a small child I was fascinated by singles.....45's.....7-inch wonders.....I had many favourites but it wasn't until I was 7 years old that I would begin my love affair with the album. One Christmas I received 3 albums that to this day remain 3 of my all time favourite. THE BEATLES "SGT. 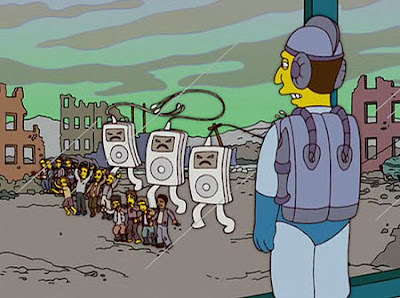 PEPPER" , THE BEATLES "ABBEY ROAD" and THIS. The Doors second album. As a child I didn't know who the artist was (I couldn't read the strange letters that said DOORS as they registered in my tiny brain as more symbol than letters of the alphabet) so for years I had no idea who or WHAT made this strange creepy music. I sat and listened for hours to the scary stories told by Jim Morrison, the hypnotic organ sounds...the screaming...lyrics about girls in the window that won't drop, of strange days and faces that look ugly when you're alone....it scared the hell out of me. 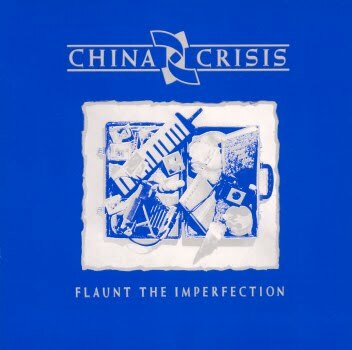 In a GOOD way......Most critics slag off this record but to me it remains a very solid follow up to their master debut. 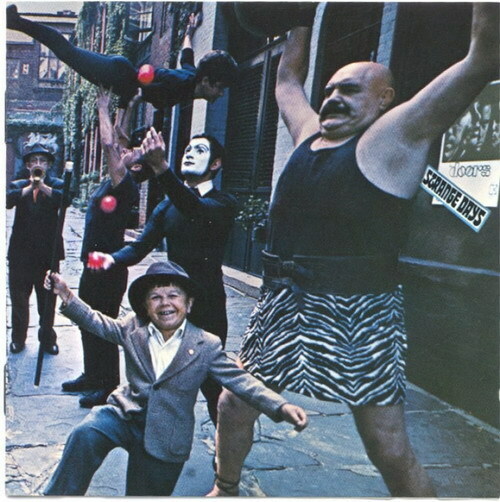 THE DOORS - "I CAN'T SEE YOUR FACE IN MY MIND"
How can a child NOT love this. The album cover art says it all. And I still believe that THIS (and not the overrated TOMMY) is their REAL masterpiece. This reminds me of being about 11 or 12 years old. 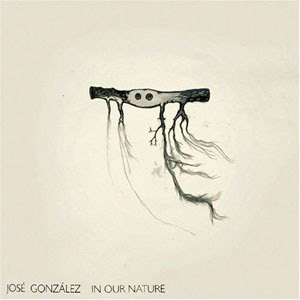 I used to take albums out at my local library and most of the time I would choose what to listen to just by the cover. This intrigued me then....and it STILL intrigues me. Here's the COMPLETE version of ODORONO. Pasted together by yours truly. 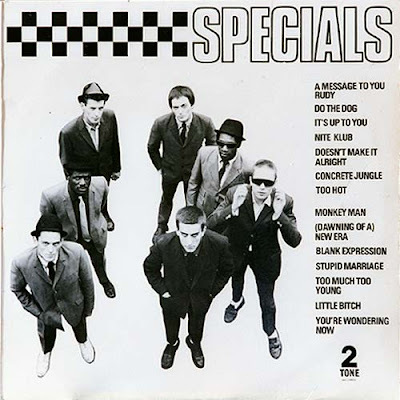 JOHN LENNON - "I'M LOSING YOU"
THE SPECIALS - "MESSAGE TO YOU RUDY"
I posted this classic SCREAMING TRIBESMEN song last year, but this should remain in people's heads and hearts EVERY year. So here it is again. "A DATE WITH A VAMPIRE". I also posted the Bollock Brothers "HORROR MOVIES" last year too. But here it is again. 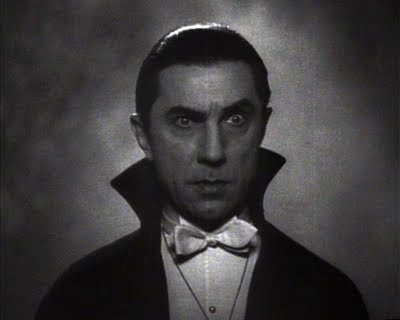 And Finally.......what would Halloween be without a nod to the original Twilight star, Count Dracula. So here's the Bollock Brothers again...with "DRAC'S BACK"
OK......this entry has absolutely NOTHING to do with the Balloon Boy hoax, but I didn't want to let a good headline go to waste. Instead, let's talk about one of the greatest songs of the 90's. Perhaps one of the greatest of all time. How do I KNOW this? Well, personal opinion, for one thing. and also THIS fact: For a song that was released in 1997, it sure has a growing number of cover versions. The Beatles' "Yesterday" is the most covered song in history, having been recorded by over 3,700 artists. Massive Attack's "Teardrop" has a long way to go, but it has already amassed quite a number of interpretations. Most of us know this song because we hear it every week on Fox....It's the theme to "House". But you're only hearing the least interesting parts every Monday night at 8PM. Too bad they couldn't have included just a TAD bit of Liz Fraisier's vocals. Oh well. But the song IS really beautiful and being that the former lead singer of the Cocteau Twins' lyrics are usually incoherent, cover versions of anything she does seem almost impossible. Still....these brave souls have tried to duplicate the magic. Here are 3 covers, in order of preference from best to worst. ELBOW - "TEARDROP" . Out of all the artists who have taken a stab at this ethereal track, Elbow come the closest to creating something unique and beautiful with it. And he mumbles a bit too.....just like Liz. 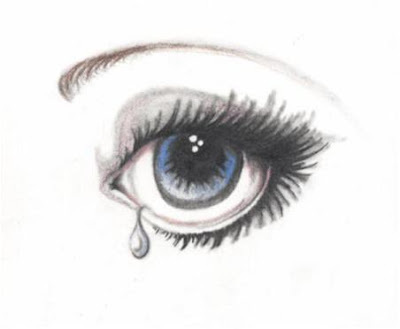 And now for Simple Mind's new version of "TEARDROP". 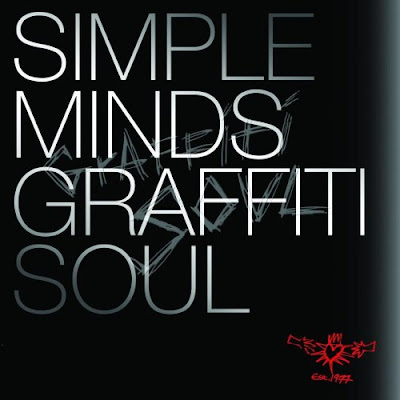 This is from the newly released album of covers called "Graffiti Soul". On this release they cover everything from Siouxsie & The Banshees' "Christine" to Neil Young's "Rockin' In The Free World". I'm not going to say anything bad about Jim Kerr's version of this song.......but I'm not going to say anything good about it either. I was recently browsing through the $1 section (the floor, actually) of one of the last remaining "record" stores left on this island. I sometimes find great lost treasures. 12-inch singles I used to (or never got around to) owning, a full length album from a long lost New Wave Band, or......and this always makes me happy....Re-purchasing something I used to own that I had to give up (or sell on EBAY) years ago...and now I want it BACK. That is the category THE WBAB HOMEGROWN ALBUM fits into. 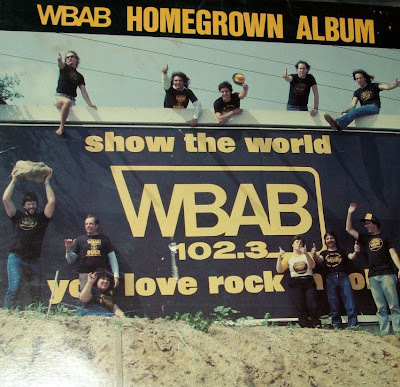 Now...before WLIR came into my life and shaped my mid and later teen years, I was just another Long Island kid that listened to the local "rock" station WBAB. Back then (I was listening from about 1977-1982) in an hour you might hear the Beatles, The Police, Pink Floyd, Blotto , Talking Heads , Velvet Underground and Kraftwerk in the same hour...and it all made sense. But for the most part WBAB played ROCK! Yeah...man...Black Sabbath and Ozzy and Blue Oyster Cult and what-not. Which was OK, as it was what every other 12-year-old was listening to as well. And WBAB was HUGE. SO huge that they put out an album (actually 3 albums) that featured local, unsigned bands. Now....mind you....out of the 13 bands featured on this, their first compilation, THE WBAB HOMEGROWN ALBUM, only 2 of them would go on to do anything. 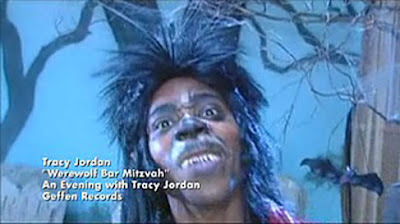 And by ANYTHING I mean one was a one-hit-wonder (Twisted Sister), and the other was a local no-hit-wonder (Zebra). 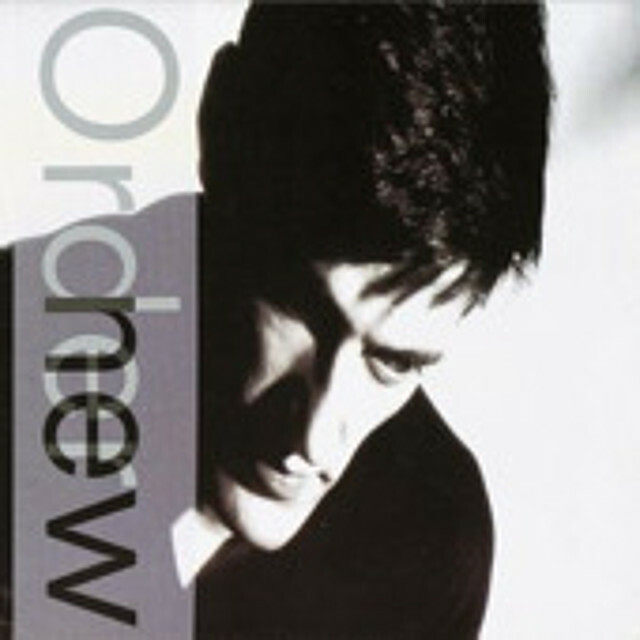 But listening to this album again really brought me back to the dawn of the 80's. And I now will share with you a couple of tracks from this long out of print classic. OK, this is 13 second track that the radio station used to play randomly through the day. Wonder what Joe (Cant-STANZ-o) is doing today....probably mopping up puke at a local bar and telling all the 20-year-old bar girls that he used to be on an album. Zebra was a local phenomenon. a REAL Local phenomenon. 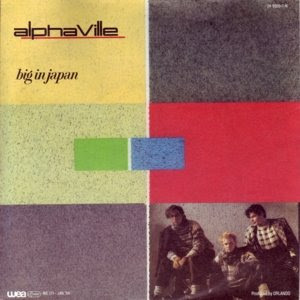 Everyone I knew bought their debut LP for Atlantic records when it was released in late 1981. And MTV even played the video of this song, but just as Nirvana would arrive in 1991 and wash away all the bad hair metal that ruled the day, Duran Duran and Men At Work were gathering forces to rid the Earth of this Prog-Zep-influenced-long-hair-crap. Having said that, I've always liked WHO'S BEHIND THE DOOR, if only for the fact that it takes a good 4 minutes to even GET to the chorus. This version must have been the demo that got them signed to Atlantic, and the Homegrown version has a definite charm the Atlantic Version lacks. I think this album's purpose was to look for the next Pat Benatar or Billy Joel. And the acts featured (THE GOOD RATS, TWISTED SISTER, BROKEN ARROW, SWIFT KICK) all had local followings, but the one element missing from all this good time bar rock N Roll is HUMOR. Thank God then for Random Speed. I never heard anything else by them, but you have to love Radio Active Baby Food. Very Zappa-esce. Rap.......Hip/Hop......Crunk........Junk.....whatever you want to call it, it is a form of "music" that I have been waiting to go away now for over 30 years. Funny how time has softened me on the early years of Rap and I now have a bit of a soft spot for the "old school" late 70's brand, but that just means I don't want to stab someone when I hear "Rapper's Delight" and I can appreciate the campiness of that period in history. Don't get me started on anything recorded after 1988 though, because all that stuff makes me want to gouge my ears out. However, there is SOME rap I DO like. And here are some examples of the greatest "rappers" in the history of Hip/Hop. 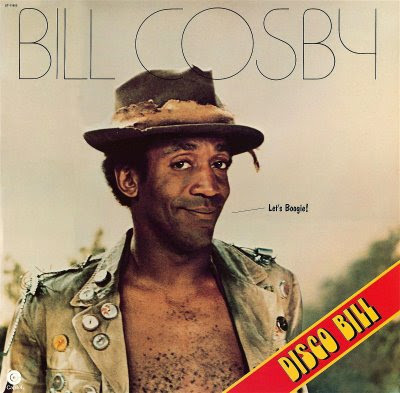 BILL COSBY - BOOGIE ON YOUR FACE. So you say you WANT to hear some cutting edge hip/hop, but you also want to hear a bad impression of Ronald Reagan? Well....have I got a 12-inch for YOU! I don't know who the Doonesbury Break Crew is, but I DO know they thankfully only recorded this 1984 single and then promptly vanished. 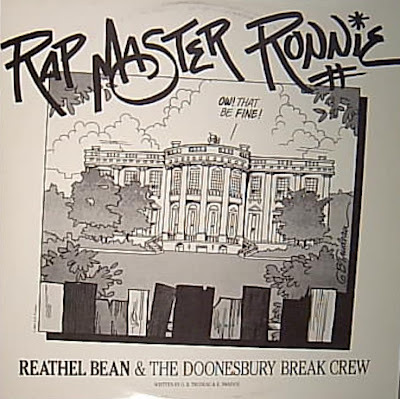 DOONESBURY BREAK CREW - "Rap Master Ronnie"
And I save the best for last. 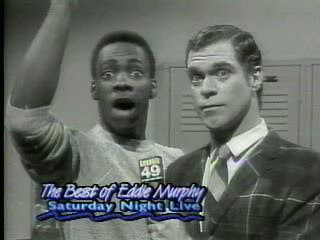 Two powerhouses in comedy. (OK, ONE powerhouse and....uh....a small shed) came together to create THIS, the most annoying 5 minutes of your life. And, just because I like torture. I'm going to give you all 3 12-inch re-mixes of THIS. ALONE AGAIN OR - "Smarter Than The Average Bear"
ALONE AGAIN OR - "Drum The Beat (Shall We Dance)"
And while we're at it, let's just add 1 more "A" band. APB - "When I Feel This Way"
APB - "She's The Girl"
This one isn't so forgotten, but if you are the average American you probably haven't heard this for a while. These Germans formed in 1982, and in 1984 they recorded this, their biggest hit. Funny how time has been kind to "Forever Young", but not to this gem. This is the original 12-inch mix. 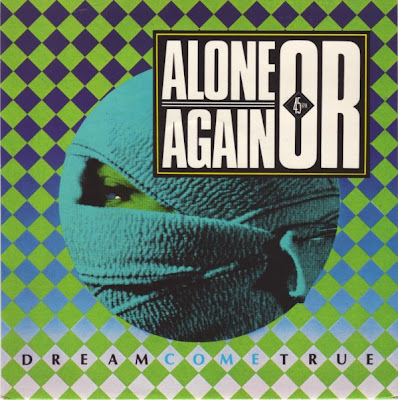 ALONE AGAIN OR - "DREAM COME TRUE"
If you were listening to WLIR in 1985 you might have caught this British import New Wave dance classic on "Off The Boat". Never charted here but I've always loved this tune. Reminds me of Spize, Paris New York and Malibu, although I don't recall hearing this at any of those clubs. I have no idea about where these guys came from, what ever became of them, or even if they actually HAD a full length album. This is all I know. And sometimes, that's enough. 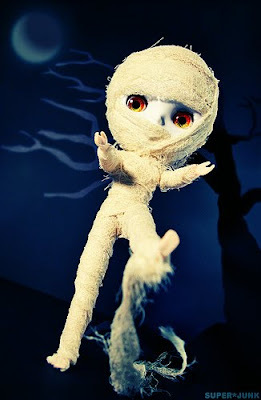 Speaking of bands I know nothing about: AKU-AKU - "THE NIGHT BELONGS TO CHARLIE"
I can find no info on this band. And if you weren't listening to WLIR in the early 80's you probably have never heard this either. Shame, cause this track always seemed to make it on the very many mix tapes I made for people in the 80's. OK....This is more like it, No? 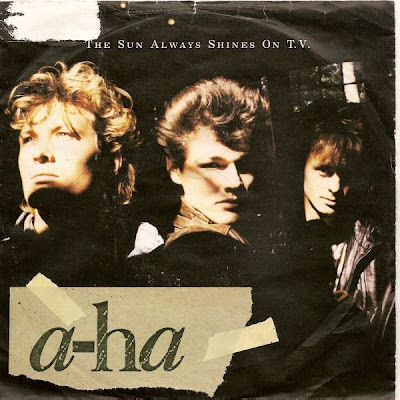 A-HA - "THE SUN ALWAYS SHINES ON TV". Here's the extended mix. Great song by a band that continues to record to this day. They are HUGE in Europe still, but then again, so is David Hasslehoff. In the 80's a bizarre thing happened in America: songs sung in German actually CHARTED here......first it was 99 Luftballoons by Nena. Then Falco had a minor hit with "Der Kommissar" where he raps in German. How silly.....Hey, let's get some Americans to do this track in English. And unlike Nena changing her Luft Balloons to RED balloons, this actually WORKED. 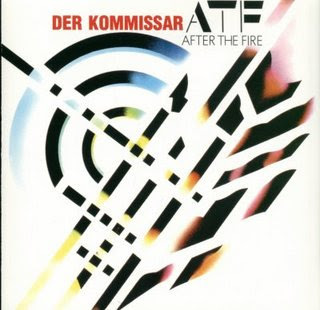 So as an added bonus, here's a unique mix of the classic Falco-penned "DER KOMMISSAR" by AFTER THE FIRE. 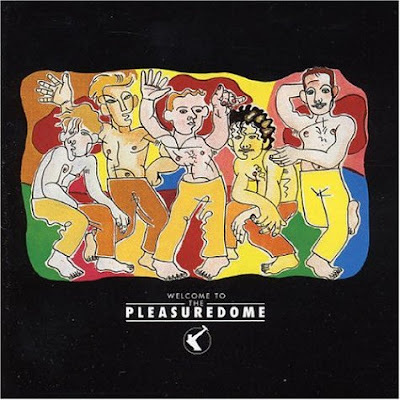 They never scored another hit here, or anywhere else (although, bizarrely, their label decided to follow up Der Kommissar with "DANCING IN THE SHADOWS", which was the B-side to "Der Kommissar". Stupid move, since everyone already OWNED the song. What were they thinking? I took the 12-inch mix of this track and mixed in the instrumental flip side on the 12-inch to create a unique mix. I hope y'all like it. The other night I had a dream. One of many that night, but at the end of it I could hear Coldplay performing a version of the Smiths "Asleep" ...and it sounded amazing. I woke with this song in my head ....a song that has actually, to my knowledge, never taken . This wasn't the first time my mind created a perfect blend of artists voice and style with a well known song by another artist. In 1987 I could hear, as clear as day inside another dream, Suzanne Vega performing a version of Jim Croce's "Time In A Bottle" and it sounded so beautiful and perfect I had to have a bunch of people convince me that it never happened in this reality. That's the power of dreams, and perhaps it might be unique to musicians or at least music lovers that these kind of dreams speak to us and touch us deeper than in non-musical people. I also recall a dream I had in the mid-80's. I was driving up a hill and the music was New Order's "Perfect Kiss"....the end instrumental part of the song where it climax's , but Mick Jagger's "Just Another Night" vocal was playing on top of it.......perhaps my subconscious mind created the world's first mash-up. 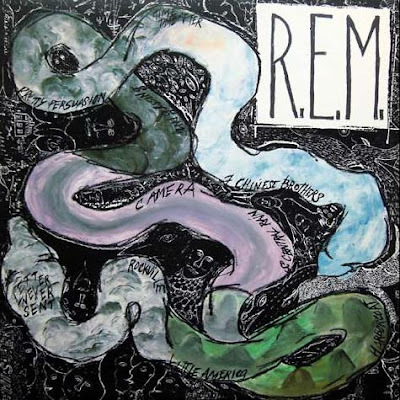 Marshall Crenshaw's "Whenever You're On My Mind" performed by R.E.M. Wow.....great first track. This is from Ween's White Pepper album, one of the better Ween albums. This track is SOOOOO 10CC I'm surprised they haven't tried to sue. LOVE this song though. If it didn't come out in 2000 I'd swear it was recorded in 1976. THE FIXX - "LOSE FACE"
ORCHESTRAL MANOEVRES IN THE DARK - "Souvenir (remix)"
From the great Architecture & Morality album.....Here's a remix of the classic track "Souvenir". I'm not sure who did this mix and I'm not sure where I got it....but that Piano line sounds way too Moby for it to not be Moby. This is such a beautiful song though, isn't it. There are covers .....and then there are COVERS. In this day and age we forget that not every artist writes their own material. MOST do....but then again...a lot DO NOT. 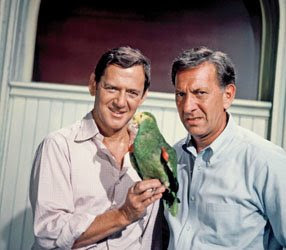 Jack Klugman and Tony Randall. Such a classic comedy team. I LOVED LOVED LOVED the Odd Couple when it was re-run in syndication growing up in the late 70's / early 80's. And I love it today. I could watch it forever and never be bored. But THIS ??? Sometime in the early 70's....to cash in on their new found fame....some record company decided it was a good idea to have these release an album. It didn't matter that Klugman couldn't carry a tune in a garbage can. And their version of Carly Simon's "YOU'RE SO VAIN" is so excruciatingly awful that it always makes me cringe and laugh at the same time. "Who are those girls?" Felix asks. 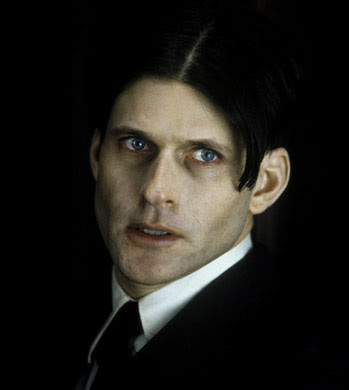 Speaking of excruciating, dig THIS cover of the Nancy Sinatra classic "THESE BOOTS WERE MADE FOR WALKING" by the ever so bizzare Crispin Glover. In 1989 Enigma records (Now no longer a record lable....hmmm...imagin that)strangely gave a recording contract to this whack-a-doo. 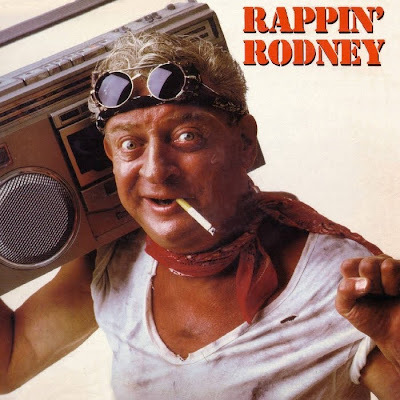 He filled this album with bad poetry, a rap about masterbation, a song about a clown (The Barnes & Barnes assisted "Clowny Clown Clown") ,a Charles Manson cover! !....and THIS. I love how the song starts bad and as it goes on he gets more manic and starts crying the lyrics.....Nancy Sinatra must be rolling over in her grave......oh wait......she's not dead......perhaps she's just never heard this yet. That was good...what ELSE ya got? 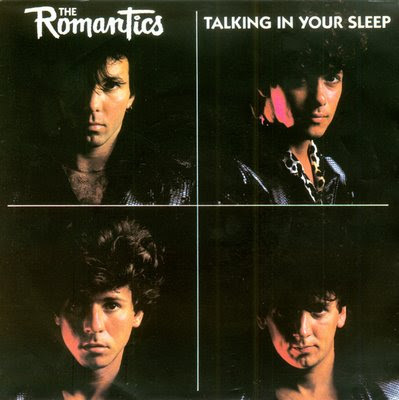 In 1984, The Romantics shot up to Number 3 with their hit "Talking In Your Sleep" (here's the 12-inch remix). So.....what to do for a follow-up? They actually released what I think is a better song, but it only made it to number 37 on the Billboard chart and the Romantics were soon forgotten about. That song was "One In A Million". I think the hook is catchy and it should have made it higher than 37.....and ask anyone today about this song and you'll more than likely get stares, frowns and perhaps red leather pants thrown in your face. So....how do you follow-up a cute little ditty about finding true love with the one you're already with....a song that even back then we knew we'd be hearing in every bar and wedding reception for decades to come? How about a song about a paranoid boyfriend that stalks his current girlfriend because he think she's cheating on him, but has no proof at all....he just KNOWS...."I know who left those smokes behind" he yells at his woman.....who probably is just blowing off this dude cause he's all old and beard-y. This has got to be the CREEPIEST billboard top 6 song EVER. I look back on it now and think "did top 40 radio REALLY play these songs...cause I do NOT remember that. But then again, I was 13, John Lennon had just been shot, and I was too busy going through puberty to notice. Everyone THINKS that Modern English is a one hit wonder. Fact is that in this country the only song they're remembered for, "I Melt With You", only made it to number 78 on the billboard singles chart in 1982. I guess they could be called a no-hit wonder. Strange how time has been kind to I Melt With You. Their follow-up 2 years later, "Hands Across The Sea" was a better song in my opinion and it should have finally broken them here. Alas, it only made it to a pitiful #93 in the states. 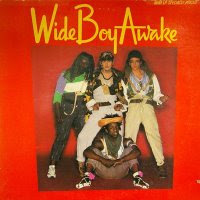 The year: 1982...the band: WIDE BOY AWAKE. the song: "SLANG TEACHER". a groovy little disco/wave number. So what do we know about them? 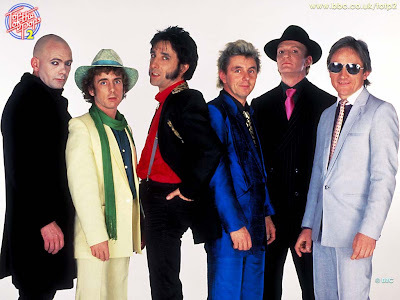 They were formed by Ex-Adam and the Ants bassist Kevin Mooney in the early '80s. 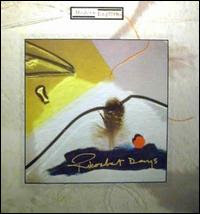 "Slang Teacher" was released as a 7" single, and also appeared on a five song EP released by RCA in 1983. The band disappeared not long after. I think they were making up most of this "slang"....."No Pain In The Mouth"? "No Long Innertube?......what the hell were they TALKING about?? 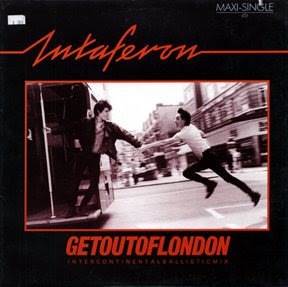 In September of 1983, Intaferon released their second single, "Get Out Of London". It was backed by another version of "Get Out Of London", this being a REALLY long 12-inch mix........ The English duo released three singles but never an album. This single reached the #93 spot on the U.K. singles chart and, as usual, to us misunderstood ,trendy kids out here on Long Island we could actually relate to this number even though London was "across the pond" as they say. There are some great lyrics here. " Threw a party for my friends so they wouldn't be lonely, they wouldn't let me in they said 'Membership Only'". I mean....c'mon...THAT'S a great line. In 1983, EMI - AMERICA tried out a new-wavy pretty-boy band called INDUSTRY. They released a 5-song EP in hopes that it would sell and this would lead to an album deal. It didn't....and it didn't. But they did have a cute little video on MTV and got semi-famous for all of 15 minutes....or at least 4 minutes and 35 seconds. I always liked STATE OF THE NATION, but listening to it now it IS a bit of it's time and it's so sugary it'll give your ear diabetes.